So you love Minecraft? You might want to be very careful before downloading the cheats for the popular Minecraft game from Google Play Store. Nearly 3 Million users have downloaded malicious Minecraft Android applications for their smartphone and tablets from the Google Play store, security researchers warned. The security researchers from IT security firm ESET have uncovered as many as 33 fake "scareware" applications that have been uploaded to the Google Play store in the course of the past 9 months, masquerading as Minecraft cheats and tip guides. These malicious applications have been downloaded between 660,000 and 2.8 million times. "All of the discovered apps were fake in that they did not contain any of the promised functionality and only displayed banners that tried to trick users into believing that their Android system is infected with a dangerous virus," ESET researcher Lukas Stefanko wrote in a blog post. Once downloaded, these malicious applications show banners designed to trick victims into believing that a dangerous virus has infected their Android smartphone devices. The pop-up alert message also gives victims an option to remove the virus from their device, thereby activating premium-rate SMS subscription that would cost them around €4.80 (£3.40) per week - around £177 per year. Stefanko says that many users who downloaded the malicious Minecraft app thought it was genuine since they downloaded and installed them from the Google Play Store. Thus, the regular advice of not downloading apps from third-party websites does not apply in this case. These scareware Minecraft apps appear to have been developed by the same developer but feature different names and icons. Moreover, in an attempt to make the scam appears legitimate, cybercriminals took advantage of the names of reputed mobile anti-virus vendors, like G-Data. 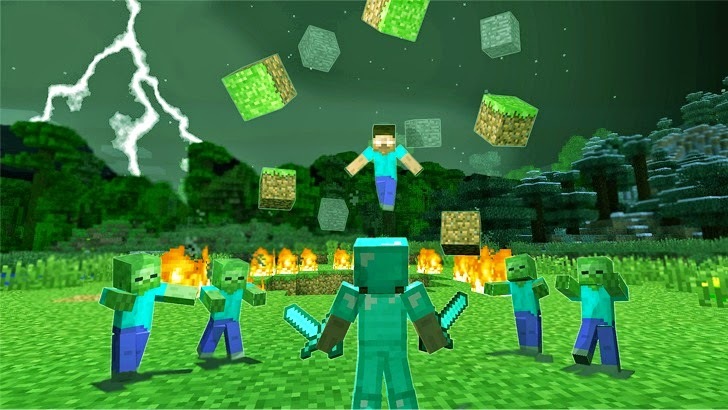 The fake Minecraft apps have since been removed from the Google Play store, the researchers revealed, however, you can protect yourself from falling victims to these apps by using a good security software on your smartphone and avoiding apps from unknown sources. This isn't first time when the Google Play Store has been found distributing malicious applications. The Play store has had a long history of malicious and fake apps. However, the search engine giant has been trying to get rid of this issue by making use of the Bouncer bot that helped reduce the number of malicious apps by as much as 40 percent since 2011. Back in March, Google also announced plans to manually review Play Store Android app submissions.